In Indonesia Monday, a former furniture entrepreneur turned wildly popular politician, Joko Widodo, was officially sworn in as the country’s seventh president. There are huge expectations and challenges ahead for Widodo, who will now lead the world’s third-largest democracy. 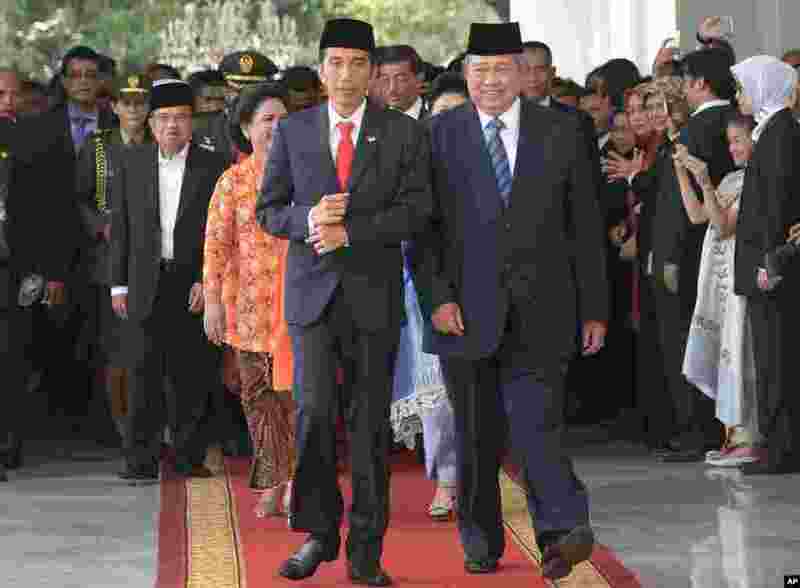 1 Indonesia's President Joko Widodo, left, walks with his predecessor Susilo Bambang Yudhoyono at the presidential palace in Jakarta, Indonesia, Oct. 20, 2014. 2 Indonesia's President Joko Widodo walks with his Vice President Jusuf Kalla in Jakarta, Indonesia, Oct. 20, 2014. 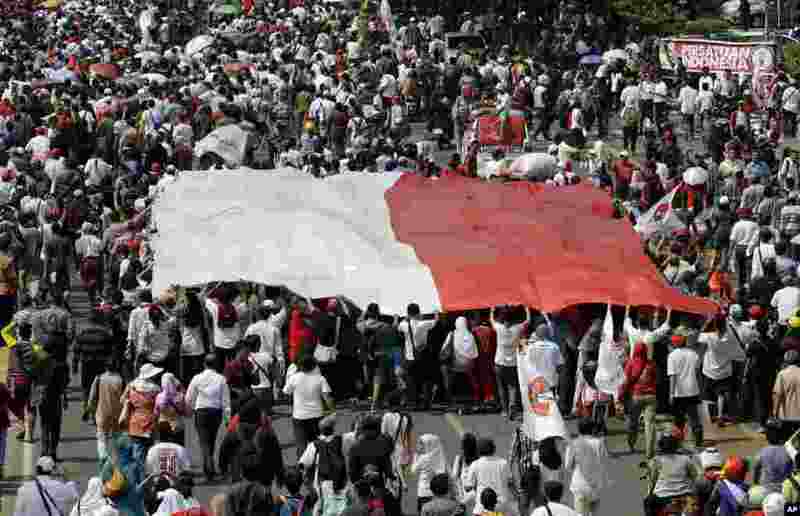 3 Supporters of Indonesian President Joko Widodo carry a large Indonesian flag during a parade following his inauguration in Jakarta, Indonesia, Oct. 20, 2014. 4 Indonesian President Joko Widodo gestures to the crowd during a street parade following his inauguration in Jakarta, Indonesia, Oct. 20, 2014.